Fake and low-quality medicinal drugs are threatening progress made in fighting HIV/AIDS, malaria, and tuberculosis, according to a collection of 17 scientific studies published at once to highlight the issue. Researchers found that up to 41 percent of medicinal specimens out of a total 16,800 drug samples fell short of quality standards. In addition, one article published in the batch considered an estimated 122,350 deaths of African children given fake or substandard malaria drugs in 2013. 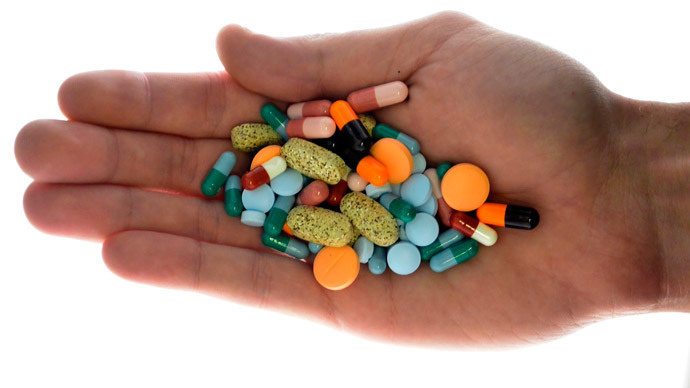 Other studies found that poor-quality antibiotics harm health and boost antimicrobial resistance, the US National Institutes of Health said in its Monday announcement of the studies. Those conclusions, and more, were part of the 17 articles published to call attention to global drug standards and ways to combat the proliferation of damaging medicines, especially in low- to mid-income nations. Packaged together in a journal supplement under the title, “The Global Pandemic of Falsified Medicines: Laboratory and Field Innovations and Policy Perspectives,” the articles will be published online by The American Journal of Tropical Medicine and Hygiene. “The pandemic of falsified and substandard medicines is pervasive and underestimated, particularly in low- and middle-income countries where drug regulatory systems are weak or non-existent, as shown by field studies in the supplement,”said Jim Herrington, PhD., MPH, co-editor of the journal supplement and director of the University of North Carolina’s Gillings Global Gateway at Chapel Hill. Former US Food and Drug Administration Commissioner Margaret Hamburg, MD, wrote in introductory essay for the package in which she pointed to globalization as a reason why false or low-quality drugs have spread so virulently. “Today’s medical-product landscape blurs the line between domestic and foreign production, drawing attention to the need for global quality and safety oversight to prevent patient exposure to falsified products,” wrote Hamburg, now foreign secretary of the Institute of Medicine. Some of the published articles detailed new methodologies that are helping to test drug quality, including examinations that are useful in remote areas devoid of more advanced technology, according to NIH. The researchers called for an "urgent and coordinated response" to address this pandemic. Suggestions included a global pact in the same vein as the Framework Convention on Tobacco Control, as well as stricter laws to fight and punish peddlers of counterfeit medicines.